We are committed to helping improve the lives of those around us. When the Greater Scranton Y.M.C.A. decided to raise funds to build an instructional/therapeutic pool, new child care classrooms, a computer/study center and a youth/senior activity center, they hired us to launch a Capital Campaign, The Challenge to Grow - From Generation to Generation. We lent our support to every phase of the development process, creating strategies and outreach materials to attract donors and sponsors while educating the surrounding community. Read their testimonial. When the Allied Services Foundation needed funds, they hired Longbotham to create a Capital Campaign called “Pathways to Success”. The goal? Bridge a gap in medical coverage that had appeared due to restructured insurance regulations. Thousands of kids suffering from chronic conditions like spina bifida and autism had suddenly become at risk of falling through the cracks. Longbotham prepared a direct mail campaign, a brochure, donor outreach materials and education programs to help Allied reach its fundraising goals. Friendship House provides services designed to enhance the emotional, behavioral and social well-being of children and families. While we originally connected with the organization while coordinating a client's participation in a fundraising event, we were quickly impressed by their impact on the community. Although Friendship House has hired us for various projects, Longbotham has also made considerable donations of time and talent toward new marketing materials, a new website, golf tournaments and plated fundraising events. Read their testimonial. Most people who visit Montrose, Pennsylvania are captivated by its charm and character. The town hospital serves a rural population, a thriving tourist trade and many hunters, hikers and other outdoor aficionados. To ensure future economic viability, the hospital required more modern facilities and updated technologies. In support of their $25 Million Capital Campaign, we filmed a documentary-style video, produced educational materials and donor packages, and contributed in so many other ways. EOTC, the Employment Opportunity & Training Center of Northeastern PA, helps improve the quality of family life by encouraging self-sufficiency through child and parent education, workforce development and numerous other initiatives. After designing an impactful series of community education flyers and billboards, Longbotham assisted EOTC with The Million Quarters Campaign, creating the logo, donation collection boxes, a flyer and a campaign-specific landing page. Read their testimonial. WVIA Television and Radio is Northeastern Pennsylvania's public broadcasting station. Over a number of years, Longbotham worked closely with both staff and volunteers, providing consulting services, designing national direct mail campaigns for a number of annual Travel Auctions, creating a catalog of works for a Fine Art Auction and handling all aspects of advertising and promotion for a WVIA Women's Summit. Through comprehensive and flexible programs, Catholic Social Services assists in strengthening family life and in helping individuals to reach their full potential. To help the golf tournament committee raise funds on behalf of the organization, Longbotham Strategic Marketing was pleased to donate the design and production of a Commemorative Program Book for the Annual Golf Tournament. Longbotham has worked with this Foundation since it was established in the year 2000 by Kevin Kitchnefsky, a Tunkhannock native who was paralyzed from the chest down after suffering a spinal cord injury on the job. We have assisted the Foundation with their website design (www.KitchnefskyFoundation.org) as well as numerous awareness-building and fundraising events including an annual KidsFest, an annual golf tournament, bake sales, family fun days, and other community outreach programs. Kevin's positive attitude has inspired hundreds of individuals and businesses to support his efforts. 70% of monies raised go toward research to cure paralysis. Past recipients have included The Miami Project and Thomas Jefferson University Hospital. 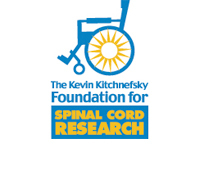 The remainder is distributed, through Kevin's K-Grants, to area residents living with spinal cord injuries. Bert and Sally Longbotham actively volunteer for the Red Cross both in their own community and at sites around the country. They spent considerable time helping disaster victims in the aftermath of Hurricane Katrina and the 9/11 attacks on the World Trade Center. Longbotham Strategic Marketing's support of the Red Cross has taken various forms. We've assisted with fundraising efforts, volunteered at events and lobbied third-party corporations for development funds and other means of support. When a child is hospitalized in Northeast Pennsylvania, families can turn to the Ronald McDonald House of Scranton for food, shelter and support. The staff and volunteers are a truly committed and caring group of people. Over the years, we've designed newsletters and brochures, volunteered at events, created marketing materials for Gourmet Gala fundraisers, handled media outreach and even passed out treats at Halloween. 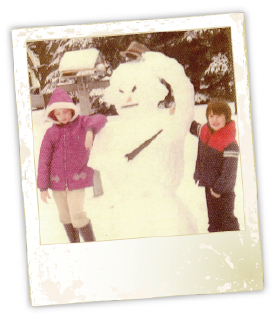 A few years ago, we received a frantic call from the Northeastern Pennsylvania Chapter of the American Heart Association. A vendor had agreed to produce Lackawanna County's Heart Ball Program Book and then reneged on their promise. As Program Book advertising was a valuable source of revenue, the book simply had to be produced. We quickly agreed to design the book, create the ads and get the project printed in record time. Donating our services in this situation is just one of the many ways in which we have contributed to this charity. Read their testimonial. The mission of LAANEPA is to enhance and promote the quality of life in the communities of NEPA by empowering and supporting the involvement of the Latino community. Longbotham has donated time and talent in many ways, including the design of a logo, an identity package, an English/Spanish brochure, promotional posters, commemorative certificates and assistance with the production of a fundraising breakfast. Mary Ann Schweikert served for many years as the Director of Literacy Volunteers in Glens Falls, New York. A former English teacher, she was nationally recognized for creating the very amusing and oh-so-memorable “Kiss-a-Pig” Community Fundraiser for Literacy. Longbotham Strategic Marketing supported her efforts for years, creating a wide range of marketing materials that were often repurposed in other areas by similar programs. Shelters of Saratoga, located in Saratoga Springs, New York, provides shelter, advocacy and referral services for the homeless and those at risk of homelessness. The creative team at Longbotham designed a brochure and other development materials to help the organization reach out to the community and gather support for a program called One Fine Day. Read their testimonial. Spearheaded by attorney Todd J. O'Malley, the annual "Up the River" event raises funds on behalf of The Bill Bursis Foundation for Spinal Cord Research, with proceeds benefiting The Miami Project to Cure Paralysis. Staff and friends of the Law Offices of O'Malley & Langan depart, in canoes and kayaks, from the banks of the Susquehanna River near Towanda and trek down-river, “roughing it” during a four-day journey, until they arrive in Pittston. The creative team at Longbotham was happy to donate design services for billboards, invitations, signage and t-shirts, and also help decorate for the “after-party”. The Stephanie Jallen Paralympic Fund, Inc. was established to help Stephanie reach her goal to compete in the 2014 Paralympic Games in Russia, and help other physically disabled individuals achieve a better quality of life by pursuing athletic careers. Stephanie suffers from a rare birth defect, CHILD Syndrome, that caused her left leg to be amputated when she was an infant and resulted in a shortened left arm. The Paralympic Games is a global competition for physically challenged athletes who compete with each other in the spirit of the Olympic Games. Stephanie’s efforts are truly inspirational. It has been our pleasure to provide graphic design and public relations assistance towards helping her achieve her goals.